Very rare copy of what is an internal record company CD. 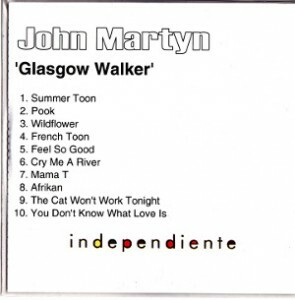 Many of the songs are given their working titles rather than the full song titles that finally appeared on Glasgow Walker. Printed plain white record company card sleeve and injet printed CD. Difficult to date but around 1 December 1999.